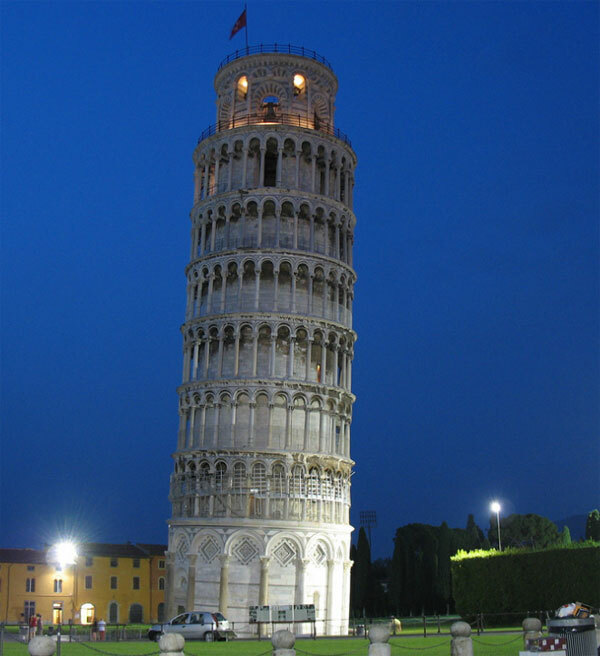 The Tower of Pisa is one of the most fascinating and worldwide-known Italian monuments, admired for the exceptional elegance of its architectural structure, as well as for the extraordinary inclination. 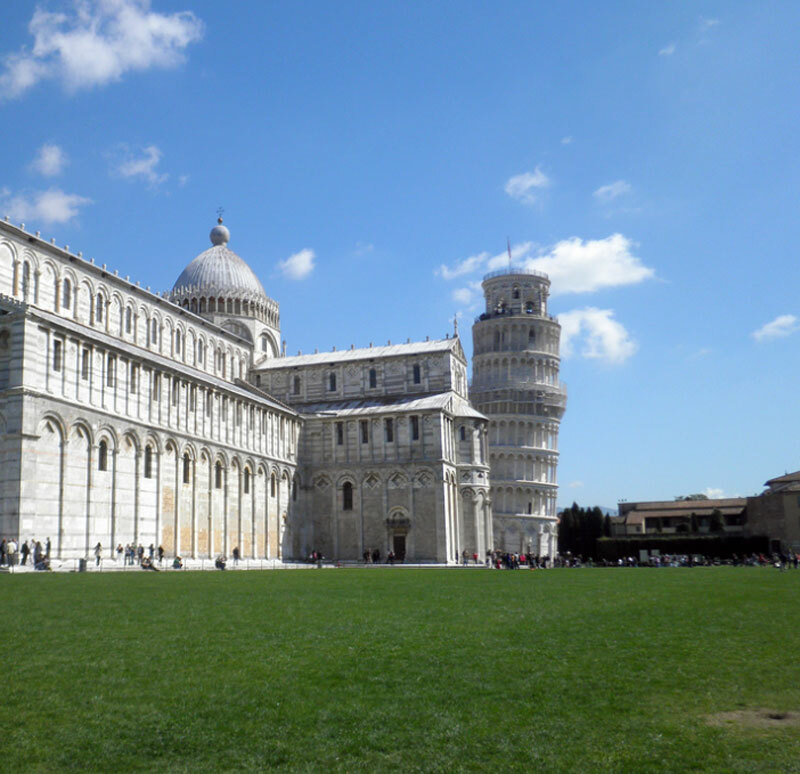 It was founded in 1173 as steeple annexed to the Dome (started in 1064 by the architect Buscheto) and to the Baptistery (started in 1152 by the architect Deotisalvi). 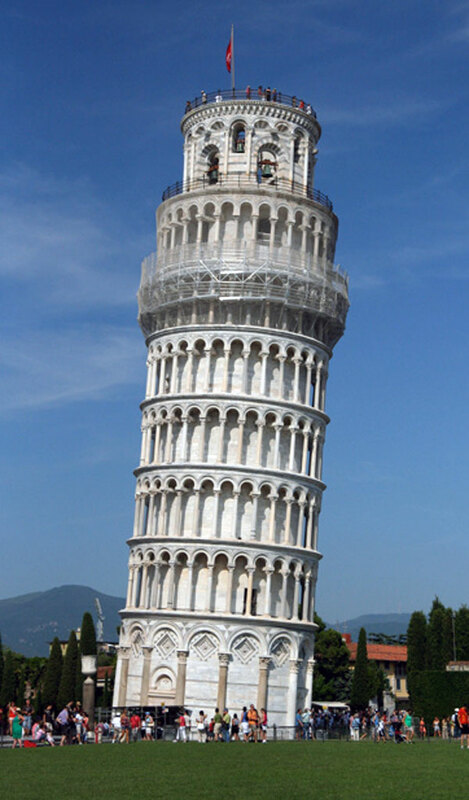 Founded in Piazza dei Miracoli (Miracles Square), the leaning tower is commonly attributed to Bonanno. During some excavations carried out in the 19th century in the foundations of the steeple an urn was found having this name, which was thought to refer to the tower's builder. Scholars proposed to identify the Bonanno mentioned on the urn with the famous sculptor from Pisa who made the bronze gates of Pisa's Dome (where the gate of the façade, of 1179, went lost, while the other one, the so-called Gate of S. Ranieri, is still preserved and can be seen outside the southern transept) and the gate of Monreale's Cathedral (dated 1185). 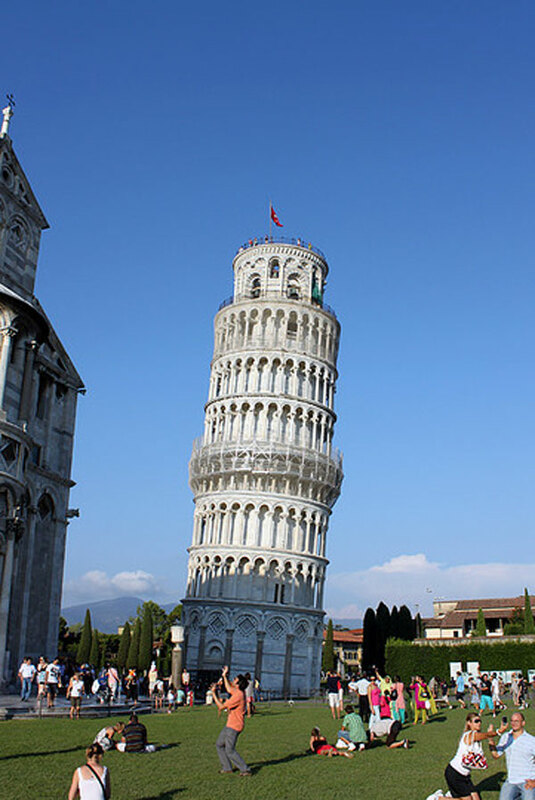 However, after only 12 years (1185) there were the first signs of subsidence of the ground, which caused the tower's inclination and led to the interruption of works in the middle of the third floor. 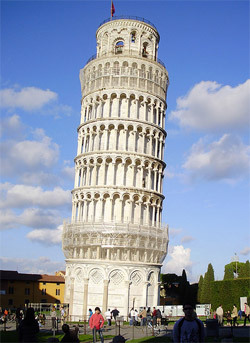 The construction was restarted only in 1275 by Giovanni di Simone and finished in the second half of the 14th century. Together with the Baptistery, the steeple tower is one of the first monuments in which the great novelty of the architectural language used in the neighbouring Dome is assimilated and proposed after some years.